Sam Herring’s vocals have never erred on the side of approachable. On even the band’s catchiest tracks, the Baltimore singer’s low growls clumsily rumble through his poignant lyrics, its forceful nature threatening to cloud over his skillful, narrative-heavy prose. On The Water delivers the best of both worlds. Herring’s lyrics are not only exquisitely matched to the group’s detailed orchestration, but his voice, while not abandoning its unique, jazzy qualities, has been slightly toned down. The title track opens the record, weaving the group’s trademark delicate synth work into a shoreline background. “There are the moments that we shape and the dreams that fade away and sometimes they come together…can I be the one you hold tonight?” asks Herring. The lyrics are beautiful, straightforward and far from aggressive, allowing audience members to enjoy the complete track on the first listen without deciphering through cryptic and abstract wordplay. Further into the record, “Where I Found You” has the classically charming feel of a John Hughes film with its playful pulsing and high-pitched, shimmering keys. 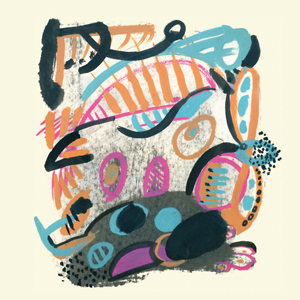 On The Water is not only the most accessible Future Islands release to date—it’s their best. Gorgeous and personal, the band has delivered a record that is not only the product of years of trial and error, but also the rarity of a truly talented storyteller.